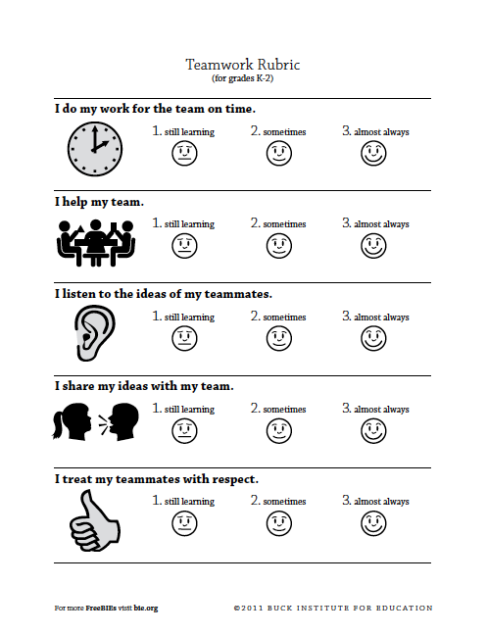 Rubrics are great tools for evaluating activities and projects that are participatory or have products that can be improved upon over time. 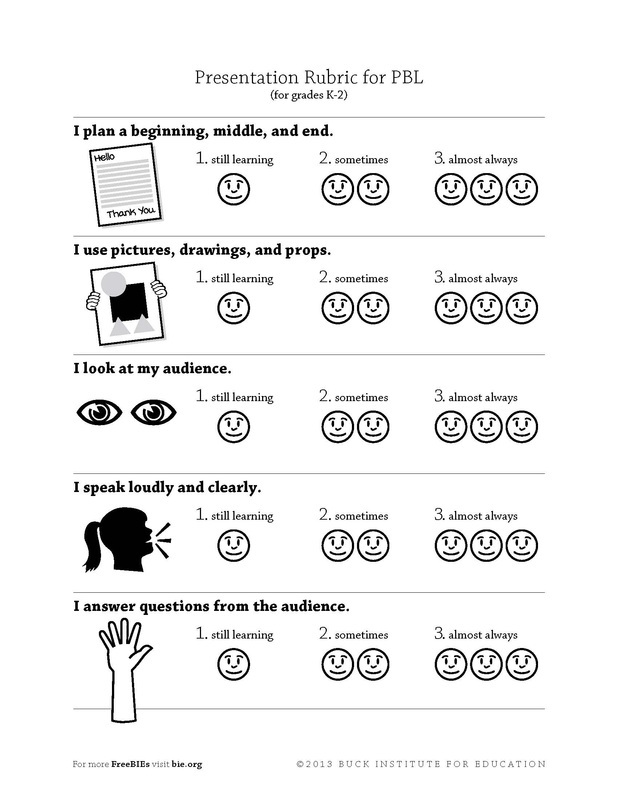 Visual Rubrics work best for primary students. Two of these were created by the Buck Institute for Education which pioneered, promotes and provides training in Project Based Learning (PBL). 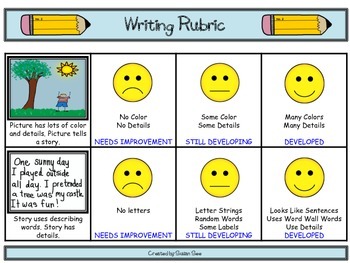 Here is a link to a free site for educators to create their own rubrics. This is mainly for text rubrics and Project Based Learning (PBL), but it is valuable in that it provides language for each level of a rubric. For beginners, this would help to insure that the rubric maintains a valuation curve over the span of the rubric.